For those of you who know the Minecraft myth of Herobrine, this mod is perfect for you. It adds a whole new level of fear in the game. Herobrine will either spawn randomly in the world, or you can summon him using a totem. First you need to make a special Herobrine totem block using bones and soulsand. Then you need to place two gold blocks on top of each other. Put the Herobrine block above those two, and put a netherrack on top of the Herobrine block. Finally, set fire to the top netherrack block and Herobrine will be summoned. 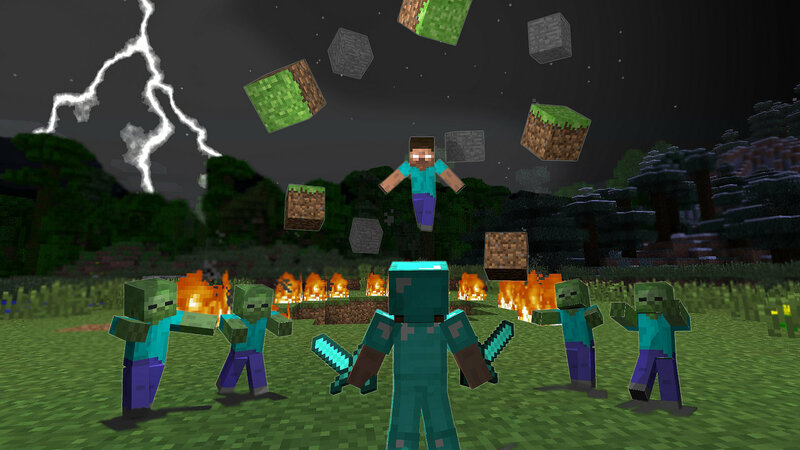 Be cautious when using this mod – Herobrine leaves nothing but destruction in his path, and may destroy your world. It is a challenge to try to “kill” Herobrine. If you do manage to get rid of him, he leaves you with a haunting farewell.